Thanks for the great post. I always find it fascinating that Buddhism has acquired its own benevolent female figure, it has distinct parallels to Christianity's St. Mary the Virgin. I recall that Guanyin / Guanshiyin started out as a male, but is now almost exclusively female in the popular imagination. Small and irrelevant points for the practical Buddhist, of course, but an interesting reflection of peoples' hearts. Have you come across a book titled Pure Heart, Enlightened Mind, by Moira o' Hallaran? Despite the dreadful title, it's a captivating book, being the diary of a young Irish girl who went to study Zen in Japan, and attained profound enlightenment. She died in a car crash shortly afterwards, and the book was published by her brother. The local Japanese worship her as a reincarnation of Kannon (Guanyin). A recommended read. Great post. As a Chinese person and a Tibetan Buddhist, I think you have put across an accurate picture. I think it is fair to say that the term "goddess" is a lay person term whereas boddhisattvas is a more accurate description. Having said that, it probably makes no difference to an average tea drinker. The village of Xiping is the birthplace of this magnificant tea, although now high quality TGY can also be found be Xianghe and Gangde. 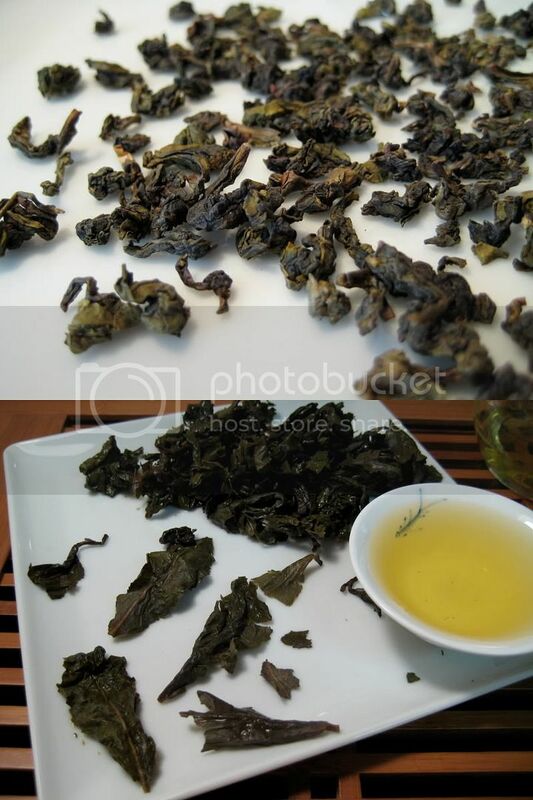 It is a truly magnificent tea, but low grades permeate the market and it is prone to much abuse. Confusingly, the word TGY now describes the entire family of Mingnan oolongs such as Golden Cassia, Yungcun, Buddha hand etc. Today, you can find 2 sites in Xiping associated with its origins. One is the Wei legend (which is what you outline) the other being the Wang legend. Like any other great tea, drinking TGY can be a spiritual experience. So regardless of the legend, I think the name Goddess or Buddha are an appropriate one. Enjoy! Jing has some great photo! I just didn't want your blog to be the only source for information on Buddhist themes in the tea culture. :) Jokes aside, thanks for the added insight and the book recommendation. Thank you– it is encouraging to hear that this made sense to people with an actual practical understanding of Buddhism (instead of just an introductory academic one, like I have). I often wonder how much I bury my head in the sand, so to speak, by just studying theory/philosophy/etc. and not the actual people involved. Hahaha! You are always welcome. I have been working with an Anxi TGY tea garden for a while now so I do get quite intimate with this tea. I am sure with other teas your knowledge is far far superior. As for Buddhism, it is the past, present and future! May be to clarify further in case you are interested. All movements aspire to self liberation and enlightenments but through different means. Theravada (similar to Hirayana?) emphasises on meditation to negate the existence of "self" and realise emptiness. Mahayana (called Big Vehicle in Chinese) emphasises on compassion and the desire to liberate other beings. Then there is the third school the Vijrayana that is followed by the Himalayan region. It is probably the most popular movement in the Western world (represented by Dalai Lama). They build on the former two schools and seek to achieve enlightenment through "one body and one lifetime" as exemplified by the great Saint Milarepa, doing so through guru-student transmission and intensive long term retreat! I am of course a beginner who gained a little bit of knowledge here and there through practical experience (rather than systematic study) so I am open to challenge. Hope it helps to add to your blog. Hinayāna, or "little vehicle" is more of a pejorative term for the former mainstream Buddhist schools, the main philosophies of which are found in the Abhidhamma. The Theravāda school is the only remaining school from this group, so you may often see the terms used interchangeably among non-Theravādans. The idea that wisdom and compassion go together is certainly perplexing, especially to the Western thinker. But, with study it starts to make a little sense (I'm sure it would take a lot of study to have it make perfect sense), and is actually quite interesting and brings a totally different perspective on what it means to be compassionate (or human, for that matter). Perhaps I'll write more on these topics later, if I can find a good way to relate them to tea or tea culture. Thanks again for your comment! This was awesome, infomring, and entertaining, thanks.